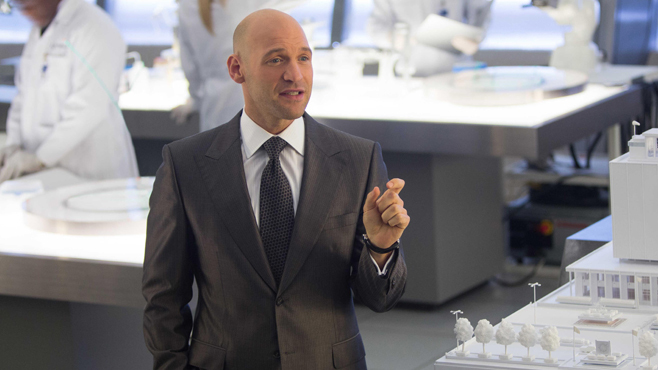 Corey Stoll wears awesome suits… in real life. In Ant-Man he gets to wear some impeccable three-pieces, but his most memorable outfit – as we learned in this interview – was all motion-capture. 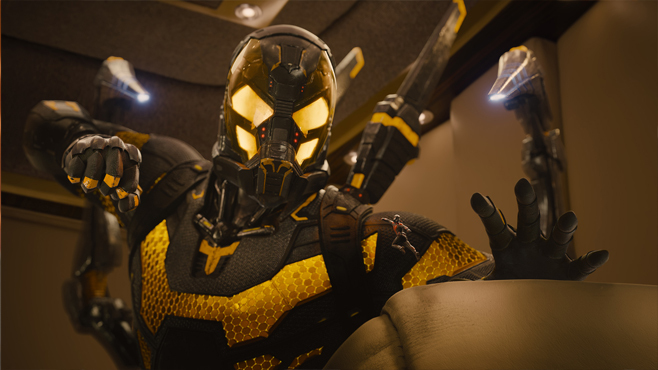 And that’s a damned shame, because as the villain Yellowjacket he turns out to be one of the best-dressed villains in the Marvel Cinematic Universe. 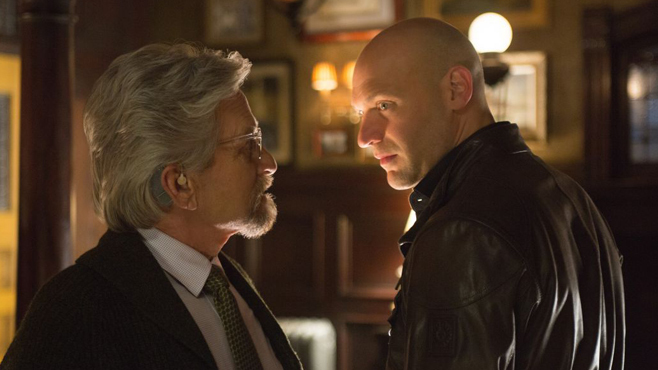 Not everyone can make bright yellow work, but Corey Stoll is definitely one of them. Ant-Man opens in theaters on July 17, 2015. Crave: So, what do you want to talk about? I couldn’t really help you with that. I’m not a sports guy. I like movies? I did, actually. It was a lot of fun. So did they offer you Ant-Man, or did you try out for Ant-Man…? I auditioned, yeah. I put myself on tape. It was a pretty painless process. I put myself on tape and then had a Skype call with Edgar [Wright]. 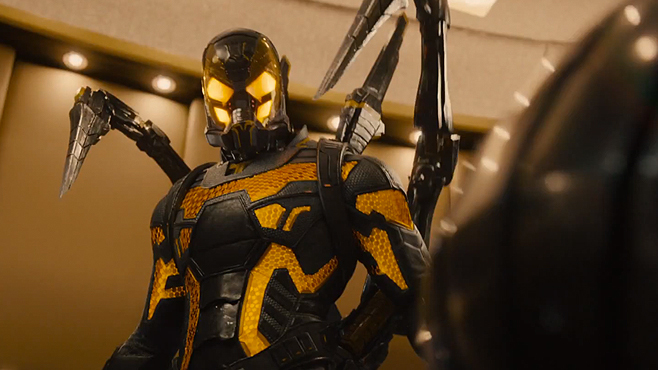 So were you originally trying out for Yellowjacket? What sort of audition piece was it? Were you yelling at the camera? No, no, it was what turned out to be the first scene in the movie where I’m giving the big presentation to the investors. That’s an interesting choice, that that would be the scene they’d want see most of? So there was a lot of concern that you could play the big business man? That was a big part of your character, huh? Yeah, I mean I’m not quite sure. I think it was just the most extended dialogue. That’s often what happens when you’re auditioning. It’s not necessarily the most important scene but it’s the scene that gives you a chance to take up some space. Well, it’s funny, because the scene where I show up at Hank Pym’s house unannounced and we have our real, closest heart-to-heart, that’s just really important because there’s so much going on and I’m doing so much in the movie. 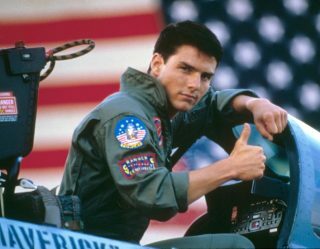 There’s all this stuff about I’m doing this presentation, I’m often very presentational, and then going through all the trial and error to get the technology right. We don’t see your inner world a lot. Yeah. 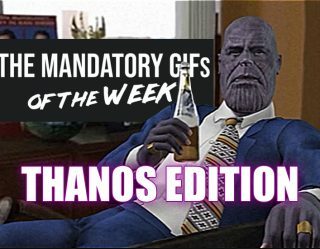 What’s so great about that scene is it boils it down to what the whole reason for what I’m doing is, which is just for the approval and just for the connection and love of a father figure, that I don’t get. That’s really more than whatever the Pym Particles are doing to my brain, that is the thing that sends me into a real rage. They talk about the Pym Particles. They say he’s already a little unstable, so the Pym Particles are really going to mess with his brain, and yet we don’t really see you shrink until the end. Was there another scene earlier that got cut? That didn’t make it into the final cut. Did you get to do cool stuff in those scenes, or were just standing in a room and then you’re small and then you’re big again? No, that was all motion capture when you’re small. 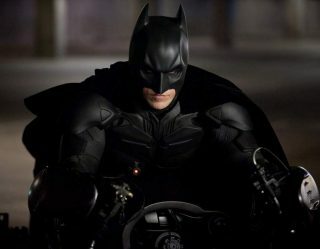 So you never actually got to wear that cool suit? It does and it doesn’t, because that suit would be a real production to get on and off with all the arms and everything, and it [only] took me five minutes to get out of my unitard. So that was nice. But I had to use my imagination. You’re already wearing the unitard. You’re halfway there. There was a version of the script where they show me getting into the suit, in the helicopter, and we just realized that would be so clumsy. Just send the audience somewhere else for a second and I’ll be in my costume. You have this whole relationship with Michael Douglas that’s motivating your character but you actually only have a few scenes with him. 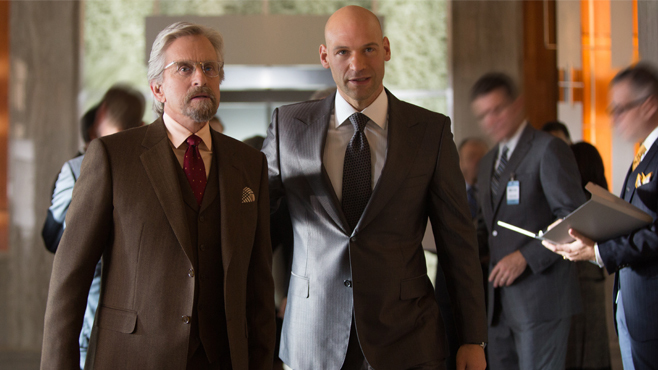 Is your past with Hank Pym all in your head or did you talk to him or Peyton Reed about it? Sort of all of the above. But we spent a lot of time together because he’s in both of those big scenes at Pym Tech, and so we really had several weeks of scenes together. So we had a lot of time to develop that rapport. I’m sure you’re getting asked this a lot, but the transition from director Edgar Wright to Peyton Reed was well-publicized. How did that affect you as an actor? Was the approach different based on the conversations you had? You know I had two conversations with Edgar Wright so I never really got into it. We hadn’t really started working together yet. So I really don’t know what the difference would be. But I do know I was nervous when he left because it just seemed like they don’t have time to find somebody. It’s a big deal to helm a project this big. And when I got down to Atlanta and I met Peyton for the first reading I was really blown away by how calm he was. [Laughs.] And how well informed he was. I mean, he’s been preparing for this his whole life. I don’t know if you’d seen at Comic-Con, they showed he was in a band and he made a poster for a gig, and the poster was a version of Avengers [#1] with all the band members as different Avengers, and he was Ant-Man on that poster. Like him, on his set of drums, on the back of a flying ant. So it was kind of perfect. Peyton had, in the short time, really synthesized the script and all this incredible pre-production work that he had done. He really knew his stuff. I wonder if there’s a part that you have been, whether you realize it or not, preparing for your entire life. Like if we go back there’s a picture of you as a three-year-old going to Halloween as Ernest Hemingway. [Laughs.] God, yeah. I used to pretend I was a dog all the time. I could do the film version of Clifford the Big Red Dog. That would be perfect. More motion-capture!